Posted on December 16, 2015 at 10:58 am. The world’s leading travel trade show InternationaleTourismus-Börse/ International Tourism Exchange (ITB) to be held in Berlin, Germany will be celebrating its 50th Anniversary with the motto of ‘From Berlin with Love’. This festive occasion is marked by visiting different destinations around the world and offering personal gratitude to local representatives. 50 events from 50 destinations all over the world were selected; each is related to one of the following topics: tourism, politics, social issues, nature or history. The 50 ITB Ambassadors from Berlin will travel to selected destinations and officially meet the country representatives. The category selected for Maldives is Honeymoon; the ambassadors to Maldives Mr. & Mrs. Family Trause will be spending their honeymoon at Bandos Island Resort from 13 – 20 December 2015. The ambassadors were welcomed to Maldives by the Deputy Minister of Tourism Hon. Hussain Lirar, in a special ceremony held in the resort. Speaking in this ceremony the Deputy Minister highlighted the developments that the destination has achieved over the years, he also highlighted the significance of Maldives being the partner country of ITB 2016. During this ceremony the Deputy Minister received a limited ITB Buddy Bear from Berlin as a gift from the ambassadors. A traditional boat model was gifted to the ambassador from the Deputy Minister. Maldives will be the host country of ITB 2016, held from 9th – 13th March 2016. As the official partner country of the fair, Maldives will be hosting the opening ceremony of ITB 2016 to be held at the City Cube Berlin on 8th March 2016. Starting from 10th March 2015 till the beginning of ITB 2016, Maldives together with ITB will be promoting the event on different media platforms. 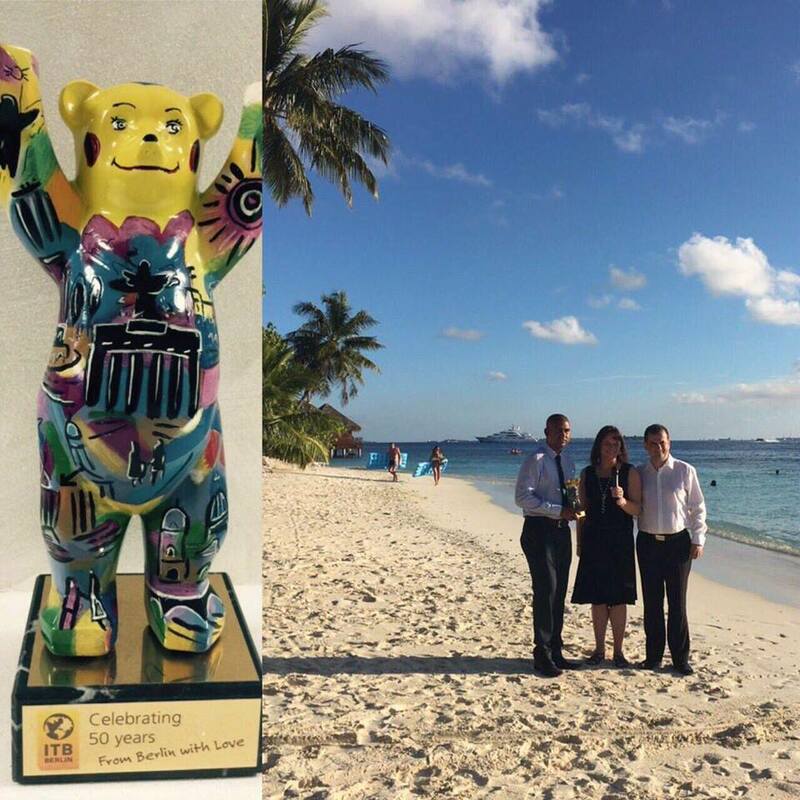 2016 will be marked as the Visit Maldives Year and being the partner country of ITB 2016 is the most prominent activity of Visit Maldives Year 2016. Visit Maldives Year is the marketing campaign with the objective of increasing tourist arrivals to 1.5 million with a significant increase in tourism receipts. Numerous international VMY. Germany is a significant market to Maldives in terms of tourist arrivals; it is the second largest market to Maldives by the end of October 2015 with 8.4% period a total of 1,024,775 tourists visited Maldives.